There are currently 21 highly qualified and experienced people involved in the delivery of Compass courses, here is a brief snapshot of each of them. Tracey has a BSc (hons) Animal Science (Behaviour) and an MSc Equine Science and City and Guilds Teaching Practice Certificate. In addition to tutoring for Compass Tracey also works as an Equine Nutritionist, work which includes writing for the popular equine press and giving lectures to students at a number of agricultural colleges. 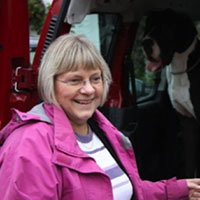 Wendy has a BSc (hons) Psychology and an NPTC Assessor – Animal Care. She has great experience of working with a wide range of animals in different settings including, quarantine kennels and riding for the disabled as well as working with farm animals and owning horses, cats and dogs. Joanne has a BSc (hons) Natural Sciences (including oceanography, evolution and environmental studies), an MSc Biology (brain and behaviour) and Medicinal Chemistry and an MEd. She also tutors for the Open University. She spent some time as a Veterinary Nurse and has a particular interest in horses, cats and dogs. Jackie has a City and Guilds (level 4) Certificate in Further and Adult Education and NCFE Tutors and Trainers Certificate. She has completed wide variety of animal related courses including the Compass Advanced Diploma Canine Behaviour Management and all 5 stages of the Hill’s Nutritional Advisor programme. 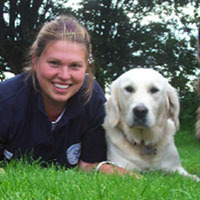 She is a practising Canine Behaviourist and trainer and sits on the board of the UKRCB. 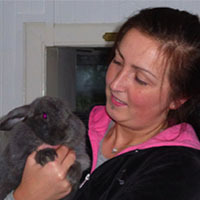 Jane has a BSc (hons) Zoology, PGCE and is a registered Veterinary Nurse. She continues with locum veterinary nursing and has a wide range of experience in the animal care industry. Her particular interests include fish, reptiles and small mammals although she has also cared for goats, ponies and sheep. Angela is qualified to teach in Adult Education, she taught animal behaviour, welfare and handling for several years at Grimsby College and has a National Diploma in Animal Management as well as having completed a number of Open University courses in Ecology and Conservation. She has kept a range of different species over the years including cats, dogs, small mammals and fish. She currently has two dogs. 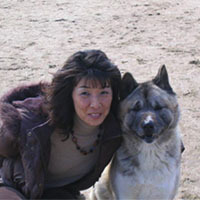 Yukiyo is an ex student of Compass who lives in Japan where she runs the Dog Behaviour Counselling Association. She has translated some of the Compass canine courses into Japanese so that they can be delivered to the Japanese population. Nanci worked as a full time dog walker and pet sitter for three years before opening Creedons College of Canine Studies in Ireland which is accredited by Compass Education. She has two Husky's, Bella and Daisy. Alison has a first class honours BSc in Animal Science (Behavioural studies). She also runs Happier Hounds Dog Training where she provides classes ranging from puppy socialisation, basic dog obedience to clicker and agility training. She also runs Elista Education providing education and training opportunities in Animal Assistance and Therapy. 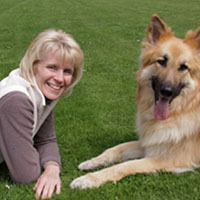 Alison is a member of the APDT and runs ‘Easy Lead’ practical dog training classes in conjunction with Compass theory modules. 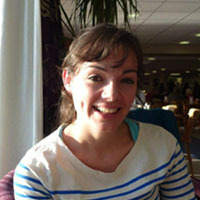 Sarah is a veterinary surgeon with MA VetMB MRCVS. 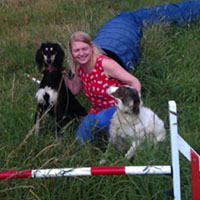 As well as a practicing vet Sarah also has experience as a science and maths tutor for GCSE and A level students and has also been involved in theoretical and practical training for animal care assistants. Anna is a veterinary surgeon, she holds a degree in pharmacology from the University of Aberdeen as well as a veterinary degree from the University of Cambridge. She has worked in mixed, equine and small animal practices, has lectured in animal health and welfare, worked for Defra and owned her own small animal practice. She farms sheep and cattle in Wales with her husband, who is also a vet. She has particular expertise in ruminant reproduction, animal production and anti-infectives. 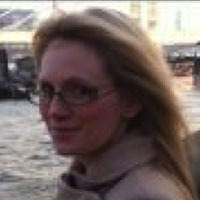 Diane has an MA in Psychotherapy & Counselling, a Diploma in Supervision and a PGCE in Adult Education. She is a therapist, trainer and supervisor for counsellors who work with their animals. She is I trained in Animal Assisted Interventions with the Society for Companion Animal Studies (SCAS). She has taught on many of their training programmes and has written and presented workshops on the Human Companion Animal bond. She works extensively with her companion animals as facilitators in therapy in one-to-one and group settings, some privately and some PAT related work, and has done so for many years. Andi Has an MSc in Applied Animal Behaviour. She works in Norway and is closely involved in researching projects using dogs in therapy. She is particularly interested in the topic of the Human Animal Bond and has just written a module on the subject. Rachael is responsible for producing certificates and frequently answers the phone along with a host of other clerical duties. Photographed here with her two Great Danes who accompany her to work. Magda is our book keeper and computer expert although when times are busy she is part of the team and helps out with anything that needs doing. 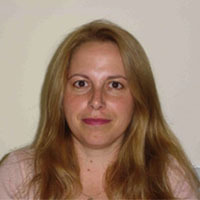 Dr McBride has been a practising animal behaviour therapist since 1987 and was head clinician at the Animal Behaviour Clinic at the University of Southampton which was open from 1999-2009. She is a member of the Association of Pet Behaviour Counsellors and the UK Registry of Canine Behaviourists and has lectured, internationally, on various aspects of animal behaviour and the human-animal bond. She was a co-founder of HOPE - the Homeless Owners with Pets project, now subsumed under the wing of the National Canine Defence League. She was a member of the advisory panel for the production of the 'Canine Code for Kids'. 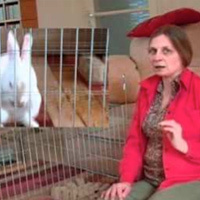 She was a member of the executive committee of SCAS (Society for Companion Animal Behaviour Studies) between 1995 –2002, and of CABTSG (Companion Animal Behaviour Therapy Study Group), which is affiliated to the British Small Animal Veterinary Association, between 1995 and 2001. 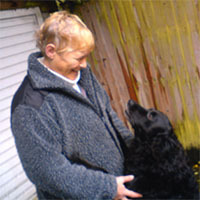 She was Honorary Secretary of the Association of Pet Behaviour Counsellors (1998-2001). 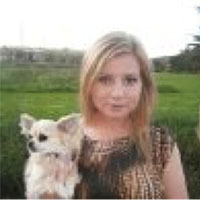 She is a Member of Council of the Companion Animal Welfare Council, an independent advisory body under the chairmanship of Lord Soulsby of Swaffham Prior. She is Deputy Chairperson of PATHWAY - a working party looking at pets and housing issues in the UK, chaired by Roger Gale MP. In 2001 she was awarded an Honorary Fellowship of Myerscough College, University of Central Lancashire for her contribution to the field of pet behaviour. 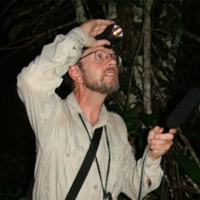 I have spent some 12 years studying wild animals at night in Africa since leaving the University College of Wales at Aberystwyth, where I read zoology, geology and botany. I then studied spotted hyaenas near the Kruger National Park for two years as Senior Research Fellow at the Mammal Research Institute, before joining Bob Martin to do a two-year radio-tracking study of lesser bushbabies in the Northern Transvaal. After that, I returned with my family to England and worked first as a Research Fellow at London Zoo and then as a lecturer in Physical Anthropology at Oxford Polytechnic, before it became Oxford Brookes. This enabled me to consolidate a programme of research on nocturnal primates, with work in 17 African countries (and one trip to Brazil ). This culminated in the formation of the Nocturnal Primate Research Group, starting with an enthusiastic group of PhD students and building to an international collaborative group of scientists working on bushbabies and lorises - from bones to biochemistry via biogeography and behaviour. I would recommend the Compass primate programmes to anyone with an interest in that area or in preparation to studying the subject at a higher level. Cairngorms with the Search And Rescue Dog Association Wales (SARDA Wales) as a volunteer body to be hidden on the mountain and under the snow, for the search dog teams to find me. I was bitten (sorry about the pun) with the speed the dogs located people hidden on the mountains, it made no difference if they were on top of the snow or underneath, the dogs found them all. I began to train my first search dog Kim in 1986, my second Call-Out with Kim was to attend the Lockerbie air crash on Boxing Day, where I spend four days searching. I have been training dogs and handlers from that date, at the same time trying to find the best way for handlers to understand the way their dogs learn. I was awarded a Winston Churchill Travel Fellowship in 1992 and travelled across the USA for three months, seeing how they train and deploy their search dog teams. When in the USA I was exposed to lots of different training methods and uses people had put dogs to. I returned with my head buzzing with information and ways to develop the training and deployment of search dogs in the UK. I was elected Chairman of SARDA Wales where I introduced a new training method and was involved with setting up the National Search And Rescue Dog Association (NSARDA) as an umbrella organisation for all search dog groups to join. The aim of NSARDA is to have all search dogs working to the same national standard and to be a focal point for search dog information. There are now national standards for Mountain, Lowland, Trailing and Drowned Victim Search Dogs. I have been fortunate to be able to travel to many parts of the world to help training of search dogs and to give advice on setting up new search dog teams. With the introduction of the internet I have been able to correspond with even more dogs groups around the world. 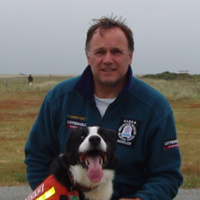 More recently I have assisted Compass develop the Search and Rescue Dog Handler Canine Studies Diploma which I recommend.